The national possessor age is 35 years old. 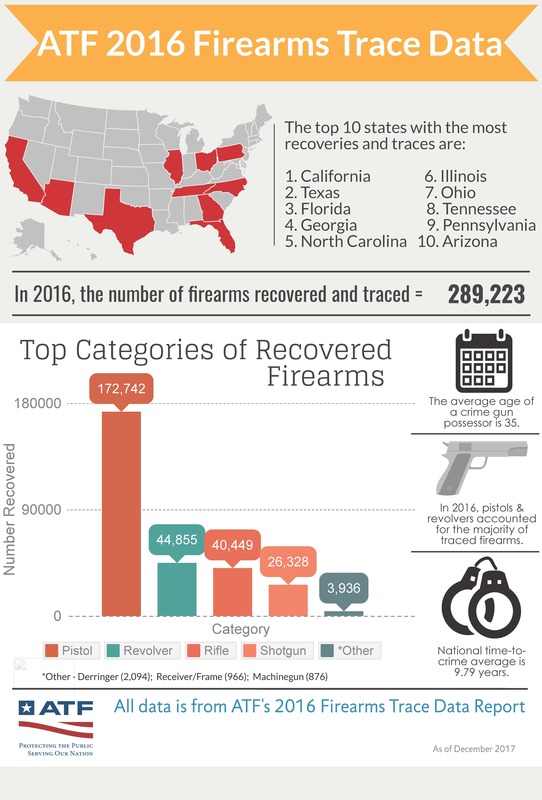 In 2016, pistols and revolvers accounted for the majority of traced firearms. National time-to-crime average is 9.79 years.